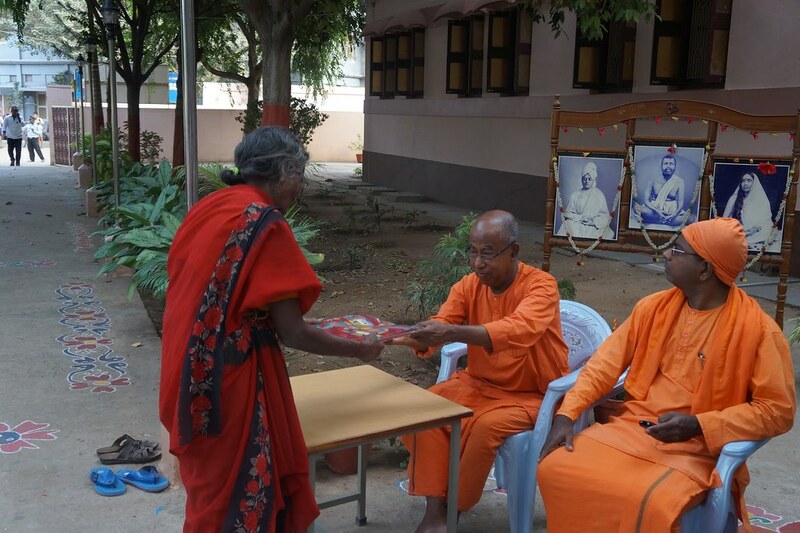 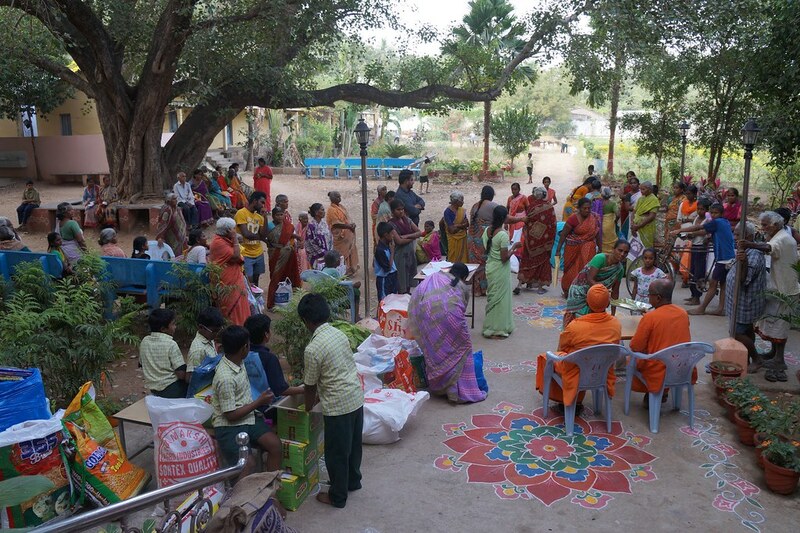 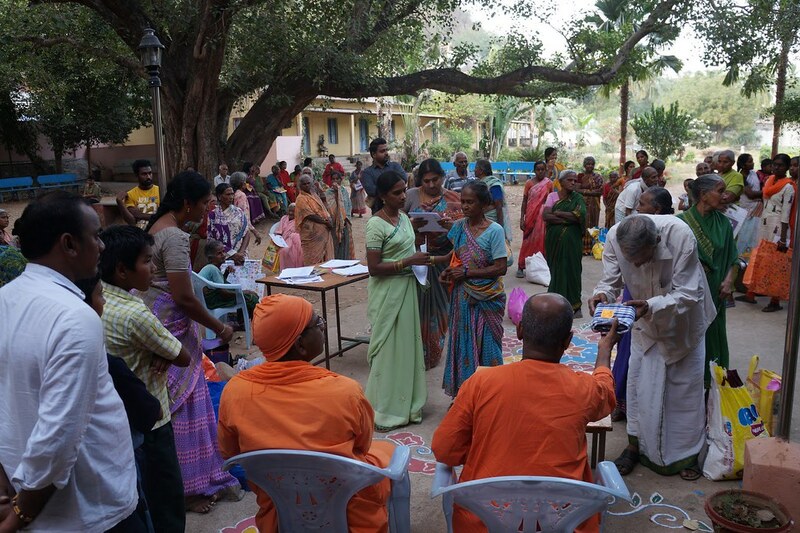 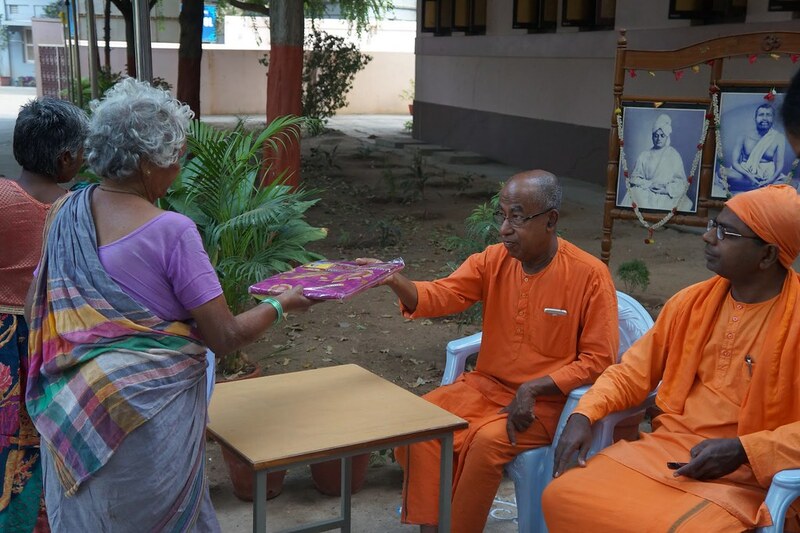 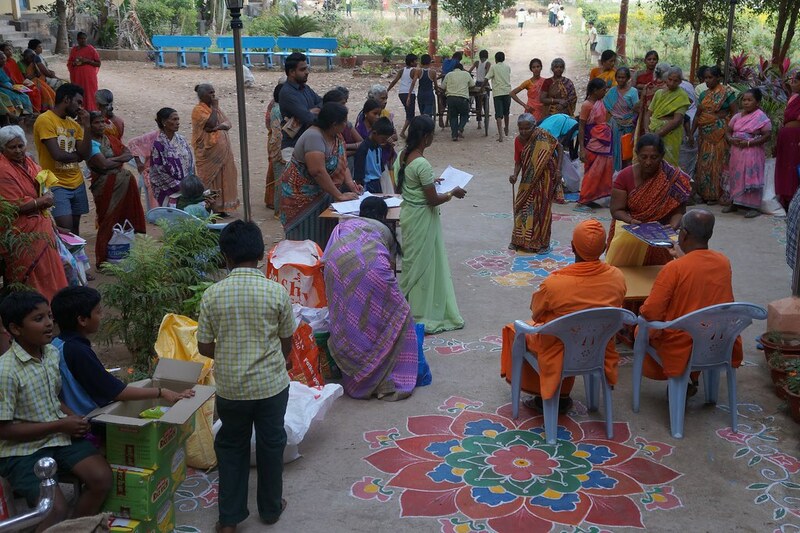 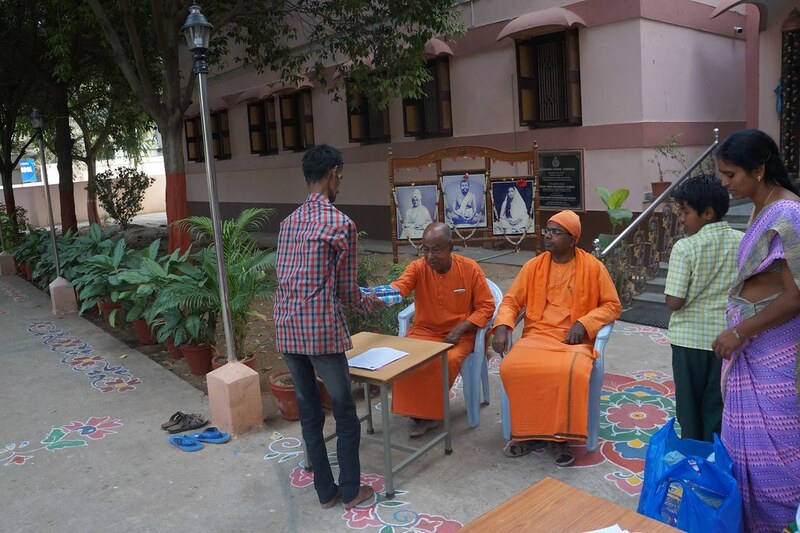 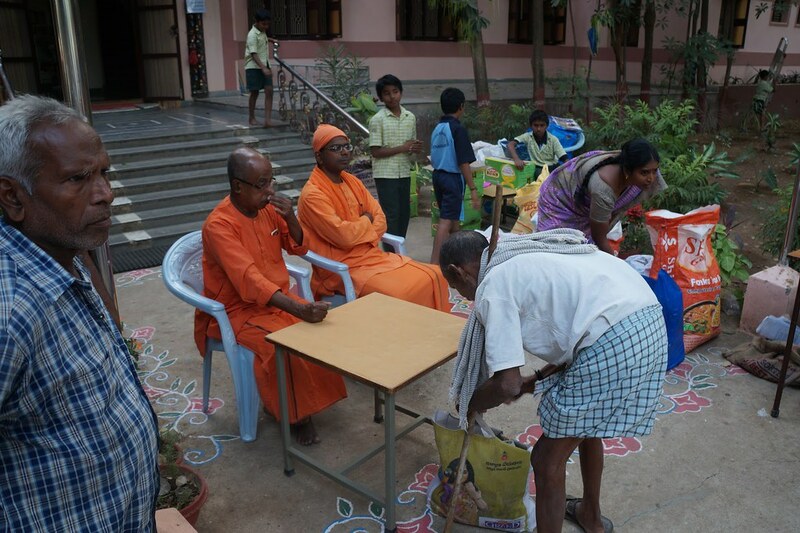 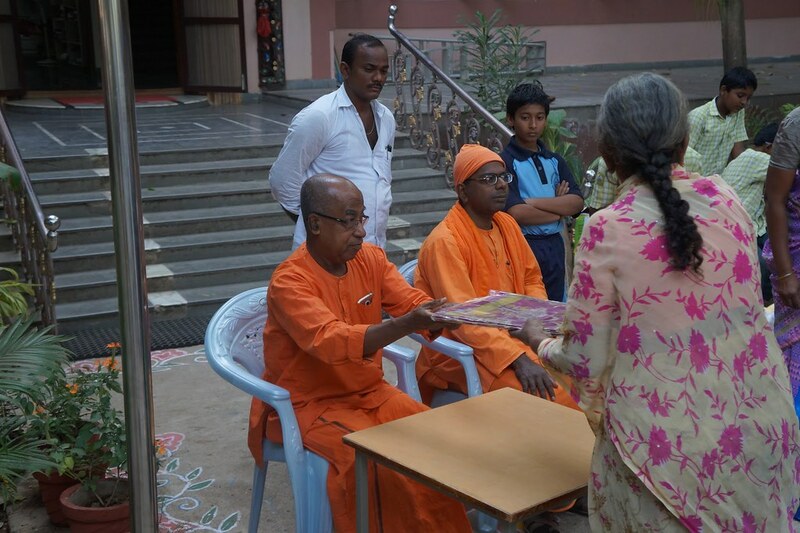 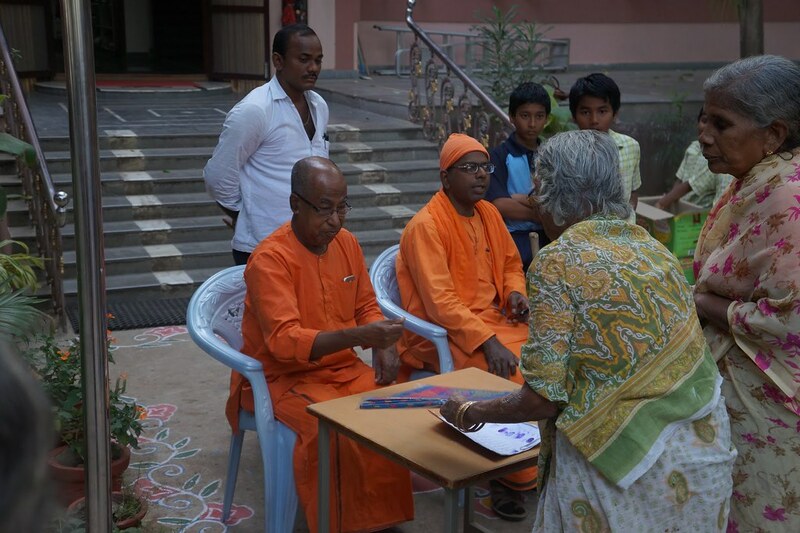 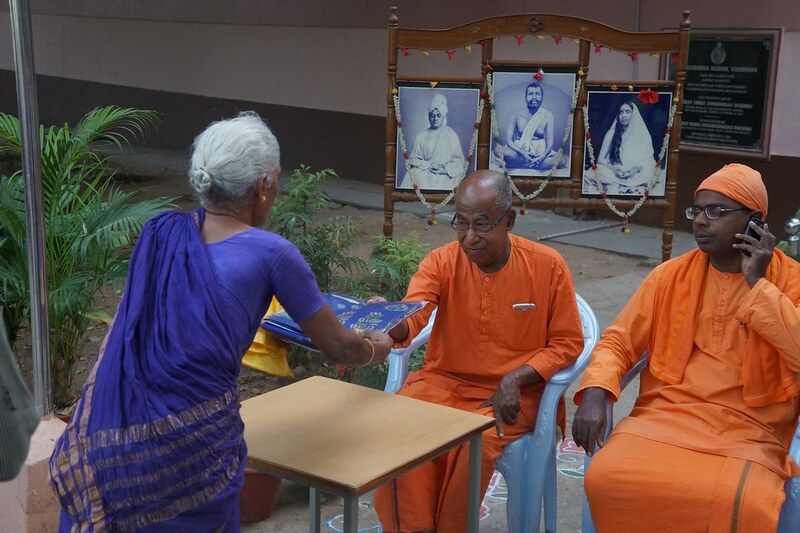 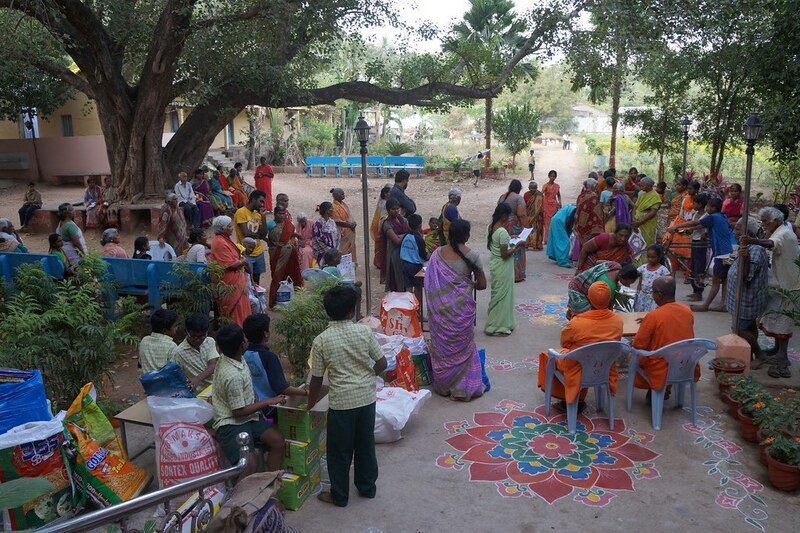 On 30th December 2017, in connection with Swamiji’s Jayanti and Pongal, Vijayawada Centre distributed 100 ration kits, each kit worth Rs. 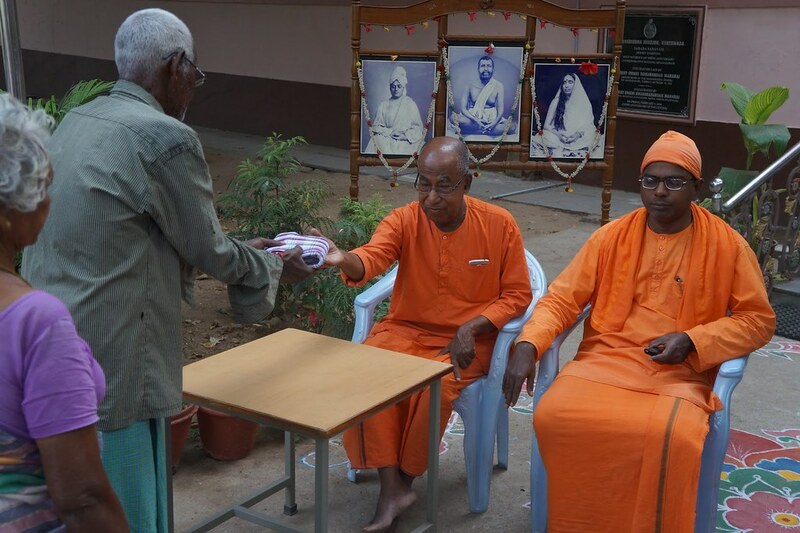 500/-consisting of toor dal (1 kg), urad dal (1 kg), moong dal (500 gms), dalia (1 kg), suji (1 kg), wheat flour (1 kg), edible oil (1 litre) and garlic (250 gms), to 82 destitute old women, 17 destitute old men and a girl child. 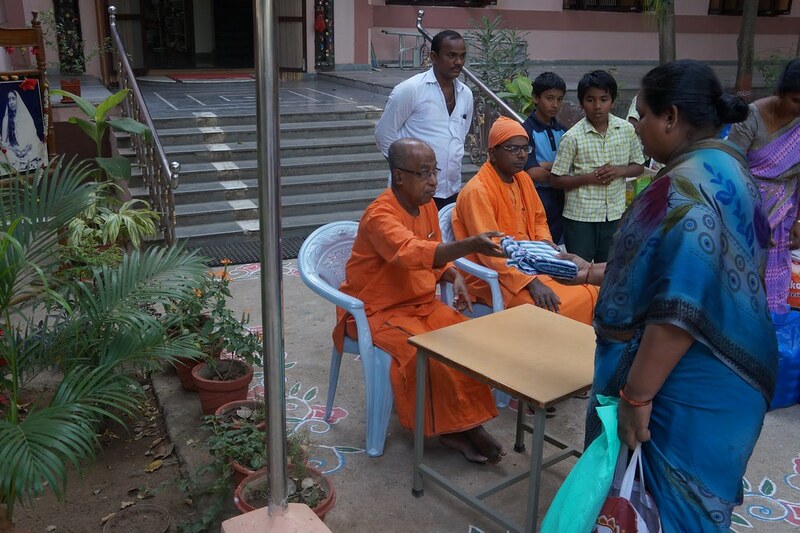 Besides, 82 sarees for women, 17 dhotis & towels for men and a set of children garment for girls were also distributed.